The #1 way to grow your practice is for you to share your passion and knowledge with a room full of potential clients! The best way to do that is to offer Workshops in your community! 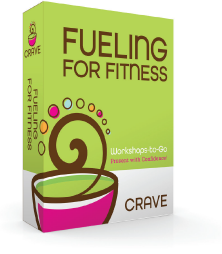 Hundreds of coaches have used and loved Crave Marketing’s Workshops-to-Go, with everything you need to present with confidence. Each workshop is packed with customizable PowerPoints, scripts, handouts, sign-up sheets, flyers, and more. So easy to use, you can download today, present with confidence tomorrow! That’s why I created done-for-you tools that will give you the CONFIDENCE to get out there! 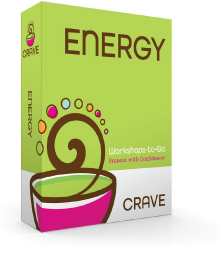 Are you nervous about giving workshops? So was I, and so were so many coaches just like you – BEFORE they used our Workshops-to-Go and our tips for presenting! Now they are confidently building a business they love and YOU CAN too! 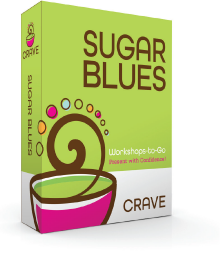 I held my first Sugar Blues workshop last week. Thanks to your material, I was well prepared and came off as an experience professional! I had a fantastic time and I am looking forward to running the 10 Keys to Healthy Eating next! Thank you! I got two workshops-to-go and two flyers. I am truly impressed and can’t wait to take this to the next stage! Our Detox Workshop is our customers’ top pick! Loaded with the latest research, cleansing strategies, meal plan, flyers, handouts, and a word-for-word script (with sample Qs & As) so you will feel incredibly prepared and confident! Includes a 10-Day Detox Menu Plan and 20 Detox. 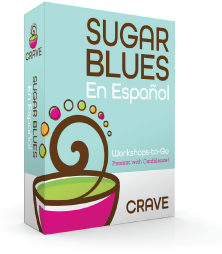 Same awesome, done-for-you workshop and materials as our English Sugar Blues Workshop-to-Go package, with materials professionally translated in Spanish!